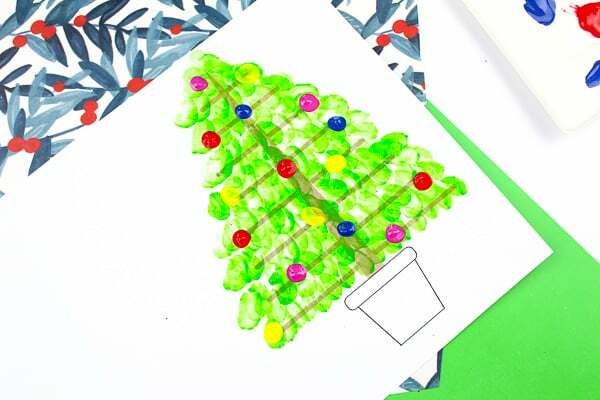 With the aide of a handy printable template, Arty Crafty Kids can easily recreate this gorgeous Fingerprint Christmas Tree Card project. 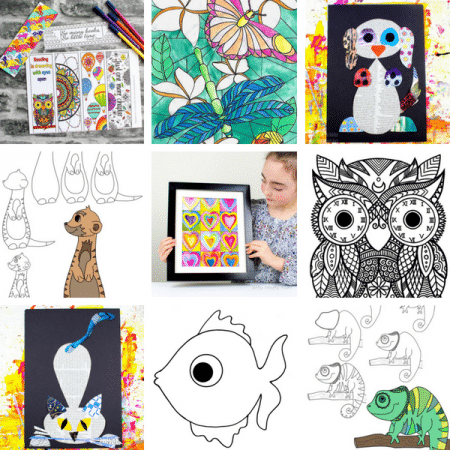 Painted with fingerprints alone, their art will double up as a treasured keepsake for years to come and will be loved by parents and family. 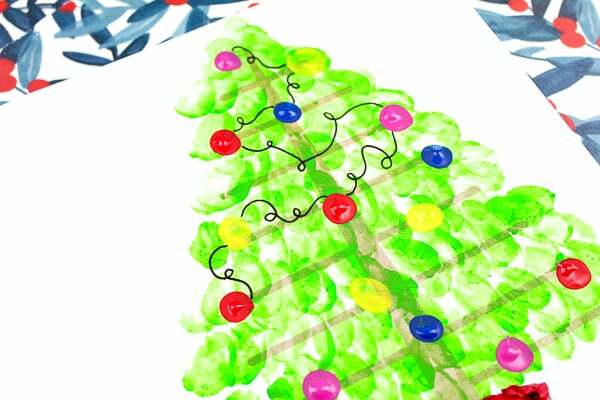 Download the Christmas Tree Template! 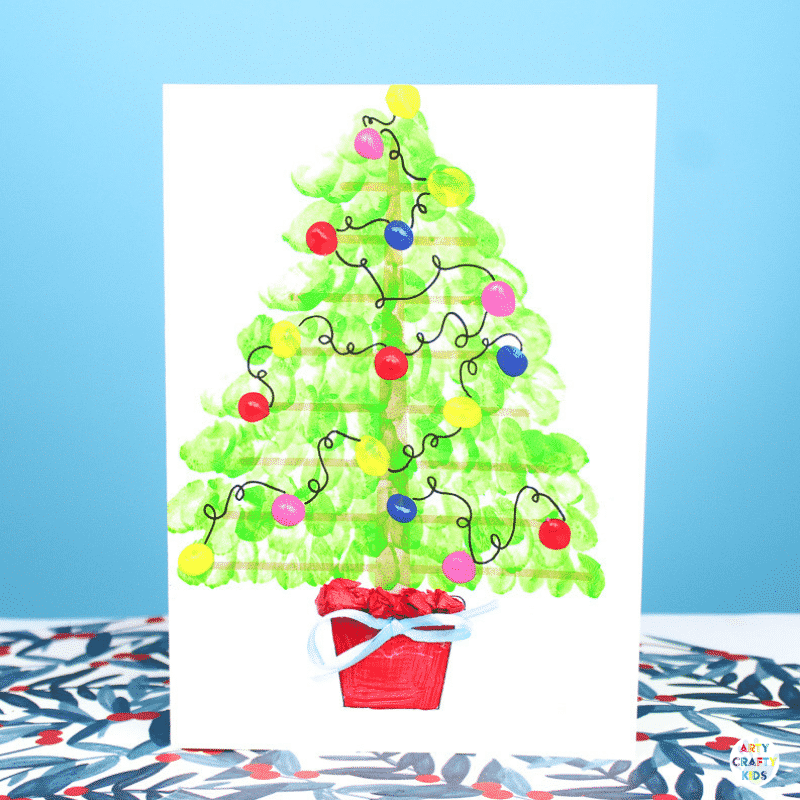 The Christmas Tree Fingerprint Card be accessed the Arty Crafty Kids club – Join to access our complete library of art and craft templates! 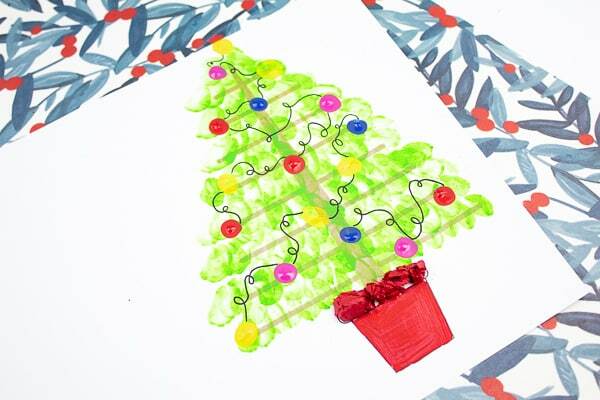 Members can also download a A4 Christmas Tree Fingerprint Art version of this craft, which is available for free! 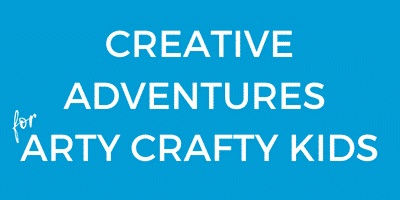 Click the link above to be redirected to the post. 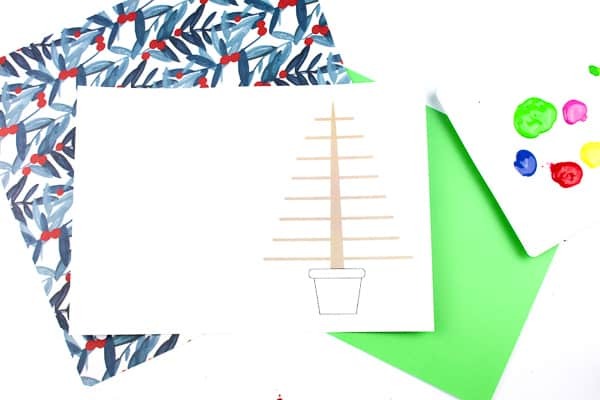 Step 1: Step 1: Download and print the Christmas Tree template onto white cardstock! 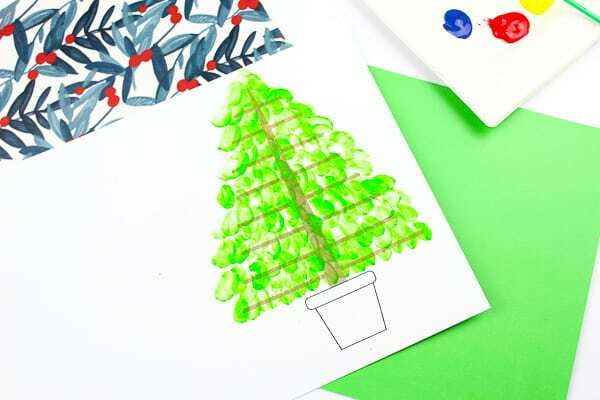 Step 2: Apply paint to your Arty Crafty Kids fingertip(s) with a brush and print along each line of the tree. To create a layered effect with the prints, start from the bottom and work up. Step 3: Continue working along the tree. 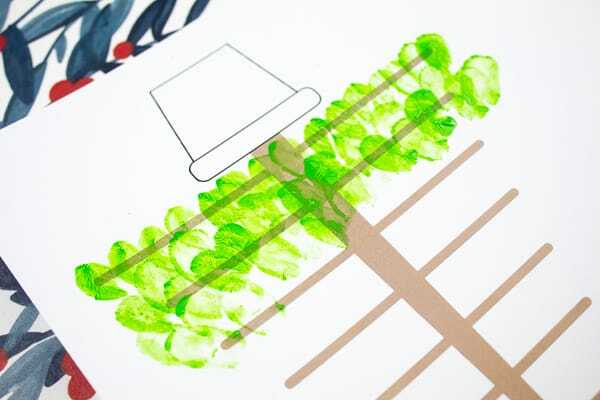 Avoid applying a fresh coat of paint for every print and use the same application until the prints fade. This will add texture and body to the completed piece, with some prints clearer and bolder than others. Fill the Christmas Tree with and finish with a single fingerprint at the top. 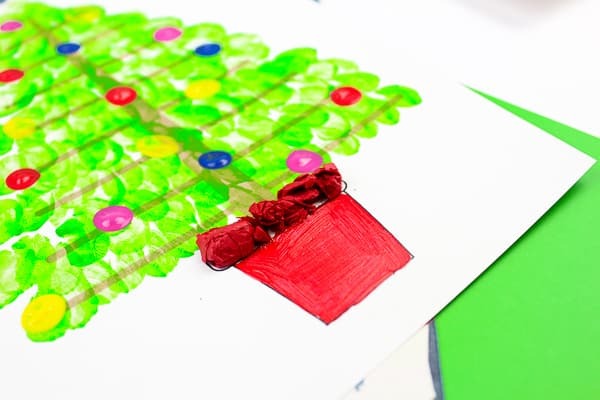 Step 4: Using a variety of bold colours, tip a clean fingertip directly into the paint and again print, this time in a random formation across the tree. These bright colours will become a chain of pretty baubles (or lights depending on your Arty Crafty Kids perspective!). Step 5: While the paint dries, paint the the Christmas Tree pot! 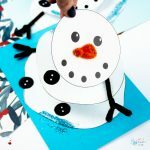 To add additional texture, fill the brim of the pot with balls of tissue paper. The motion of tearing, scrunching, rolling and sticking is a great exercise for developing fine motor skills. Step 6: Once the paint has thoroughly dried connect the baubles with a squiggly trail of black pen. I would recommend starting from the top of the tree and working down. 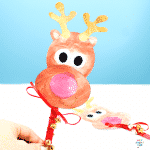 Step 7: Older children may enjoy challenging themselves to connecting the baubles in diagonal lines. Continue with the squiggly lines until all the baubles are joined. They do not have to be connected by the same squiggly line, they also can be separated. 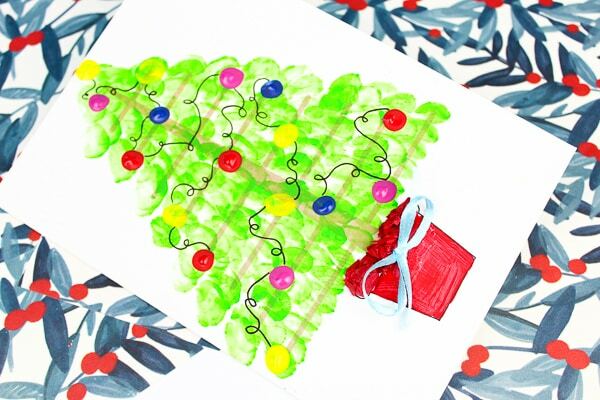 Step 9: Complete the Fingerprint Christmas Tree Art with a pretty bow! 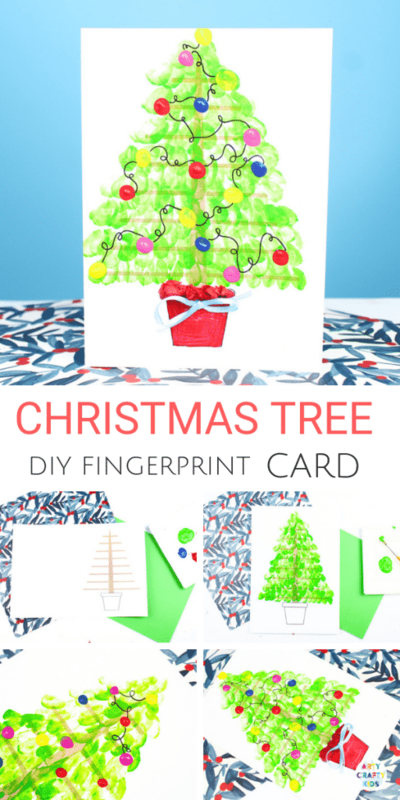 And then simply fold the card in half to transform it into a Fingerprint Christmas Tree Card. 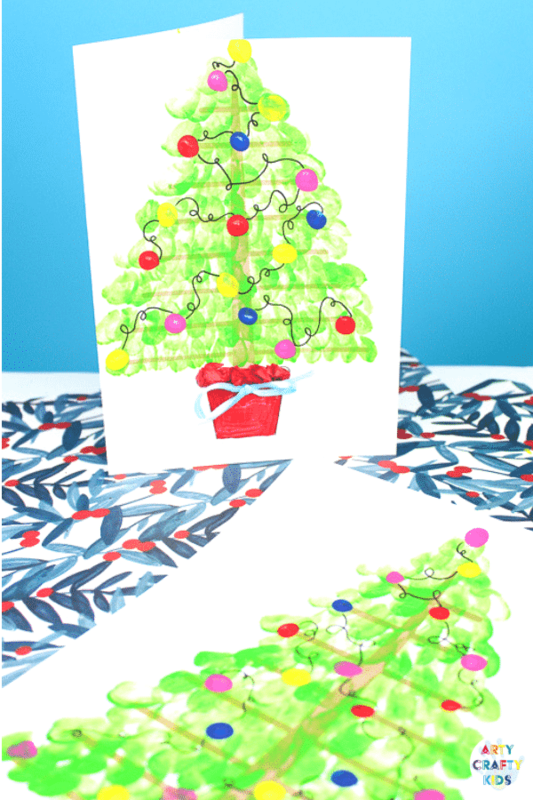 I hope your Arty Crafty Kids enjoy the process of creating and sending out their Fingerprint Christmas Tree Cards!